center includes two ice hockey arenas and a gymnasium. A geotechnical report revealed that before construction could begin, soil improvement was necessary to support the new building loads. 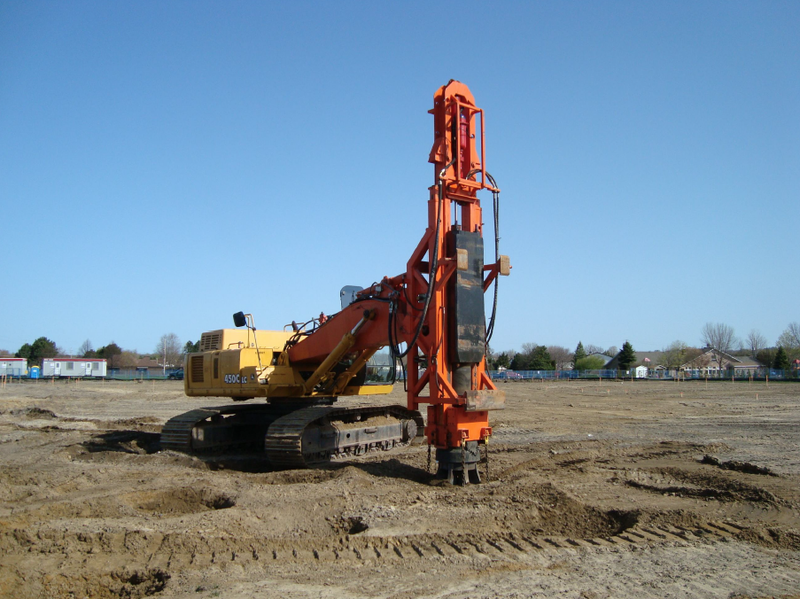 As an alternative to excavation, replacement and compaction, Geopac proposed a ground improvement approach of rapid impact compaction (RIC) using the GeopacTOR to compact the upper 6 meters of soil, providing a stable founding soil profile. the groundwater had been observed between depths of 1.5 to 2.3 m.
The total area improved using Geopac’s GeopacTOR, RIC solution was 5640 m2. Based on Geopac’s design, a 9 ton steel weight was dropped from a height of 0.9 m, up to 40 times per minute, under the footing locations only. The RIC program was completed on schedule, with all tests achieving the intended results. 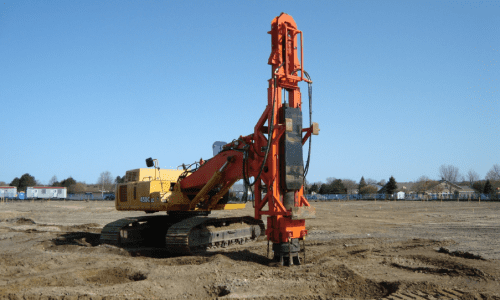 Geopac delivered a value engineering solution of soil improvement providing a cost-effective reliable method appropriate for the project and for the site.